2015 was a huge year in science. We take a look at the stories that caught our attention in a big way this year, and why they mattered. 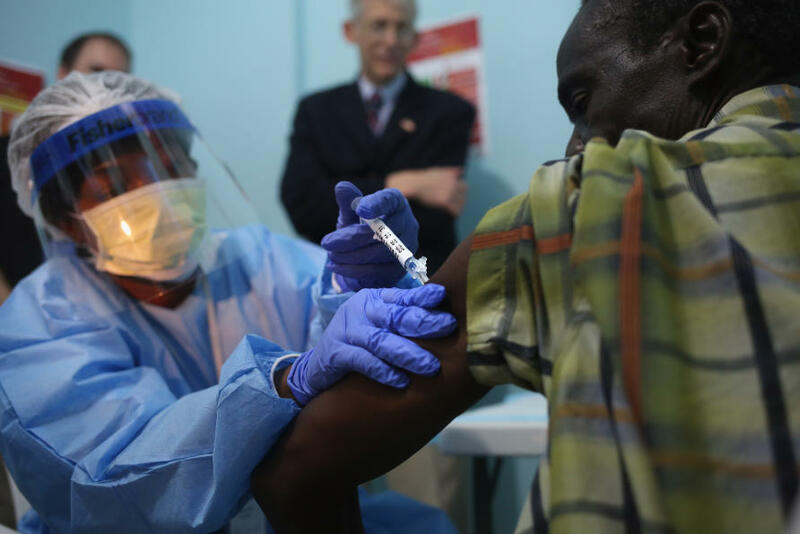 Cautiously optimistic reports of a game-changing vaccine against Ebola virus emerged in July, following 2014’s horror outbreak in Guinea, Sierra Leone and Liberia. Director of the Doherty Institute for Infection and Immunity at the University of Melbourne, Professor Sharon Lewin, says the West African outbreak was so devastating because of its scope and scale, with over 20,000 cases and 10,000 deaths. She says although there have been no cases reported for some weeks and in some countries for months, vigilance remains high in affected countries. Traditionally Ebola outbreaks were seen in central Africa, but ongoing vigilance here is also important. Professor Lewin says news of a potentially effective vaccine is very welcome and there are several vaccines in development. “In particular we’re closely watching the Phase I clinical trials for two vaccine candidates that have recently been reported,” she says. “These are ChAd3-ZEBOV, developed by GlaxoSmithKline (GSK) in collaboration with the US National Institute of Allergy and Infectious Diseases (NIAID), and VSV-EBOV, developed by NewLink Genetics and Merck Vaccines USA in collaboration with the Public Health Agency of Canada. “Both vaccine candidates have been shown to be safe and well tolerated in humans, and results have been published. But though Ebola is contained and a vaccine is on the horizon, Professor Lewin says we need to continue careful monitoring of other Level 4 pathogens – a group of highly infectious diseases that require sophisticated containment strategies, cause severe disease and which are currently not treatable. Known Level 4 pathogens currently include Ebola (and related viruses that cause bleeding diseases), MERS (Middle Eastern Resipiratory Syndrome), SARS and some strains of flu. 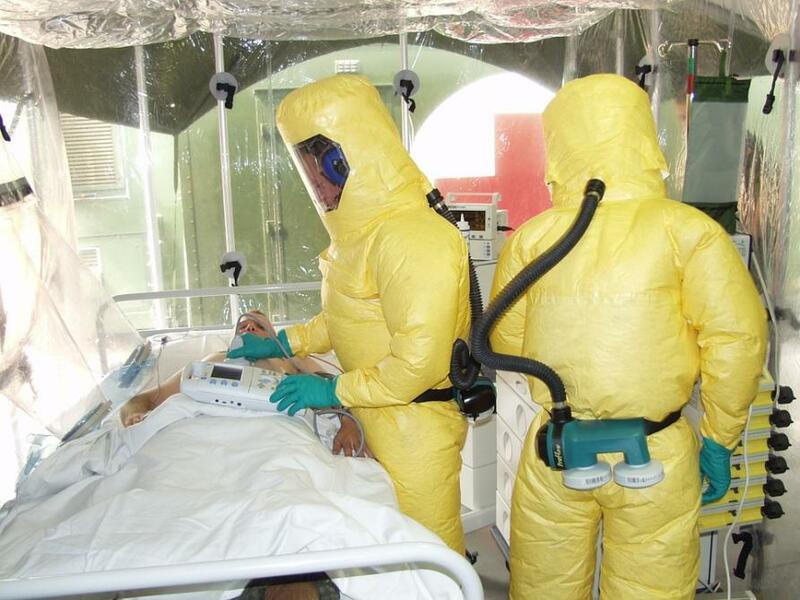 Bio-hazard suits are still on standby. In September NASA announced that photographic evidence from its Mars Reconnaissance Orbiter offered the strongest evidence yet that liquid water is flowing on Mars. University of Melbourne astrophysicist Professor Rachel Webster says “science is leading the journey to Mars”, and the discovery heralds possibilities for scenarios that have, until now, only been flights of fancy in the minds of sci-fi writers and film directors. 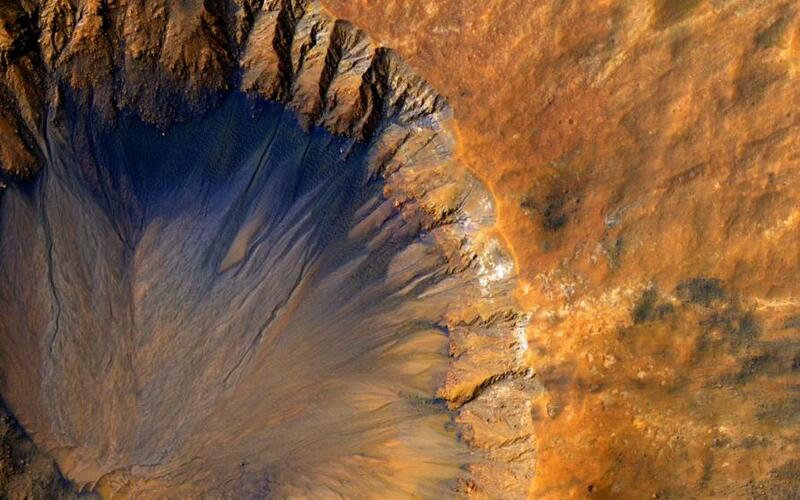 “This new discovery has opened a raft of possibilities: not just of finding the first life forms outside Earth, but also the real possibility of establishing a human colony on Mars,” Professor Webster says. “For many decades Mars was viewed as an arid desert but with recent close scrutiny intricate patterns have been photographed in the planet’s regolith – a layer of loose, heterogeneous superficial material covering solid rock, including dust, soil and broken rock. “The most natural explanation of these features has been that they were caused by flowing water. Accessible water would be the basis of a Martian settlement, providing water for human consumption and growth of plant life, oxygen to support human life, and hydrogen as the basic energy source. Professor Webster also says the discovery leads to a new set of profound and intriguing questions. 2015 looks set to break all records for global temperatures, inauspiciously smashing 2014’s record for hottest year ever, Dr Andrew King from the University of Melbourne’s School of Earth Sciences has warned. Dr King and other scientists also say they are confident the five-year period culminating in 2015 will be the hottest on record. “This year’s strong El Niño in the Pacific (which is normally associated with higher temperatures globally and in Australia) and the background warming related to human-induced climate change are combining to smash the 2014 record,” Dr King says. 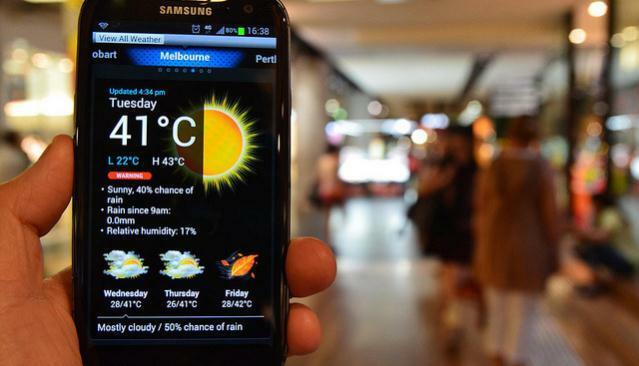 With his colleague Professor David Karoly, Dr King is part of the World Weather Attribution (WWA) project coordinated by Climate Central that is investigating the role of human-induced climate change and other factors in these extreme events. “We estimate the 2015 global temperature anomaly to be 1.05 degrees C above the 1850–1900 average that the IPCC takes to be ‘pre-industrial’,” Professor Karoly says. Dr King says it’s clear that without human-induced climate change, 2015 would not have experienced such record-breaking temperatures, and that even further, the kind of anomalies we’re expecting globally for 2015 would be virtually impossible without the influence of humankind on the climate. Not only will 2015 be the first year to break through the 1 degree C temperature anomaly from pre-industrial climate, it is also the first year in which yearly-averaged carbon dioxide levels above 400 parts per million will have been observed (pre-industrial carbon dioxide levels were about 270 parts per million). “As the concentrations of carbon dioxide and other greenhouse gases rise further we can expect more record-breaking global temperatures in the coming years,” he says. So, brace for a long and sweaty summer. And just as we’re about to tuck into our Christmas ham, Professor Dallas English from the Melbourne School of Population and Global Health says it would be wise for us to keep in mind the World Health Organization’s cancer warning on processed meats. Cartoon by First Dog on the Moon. First published in The Guardian, used with permission. In October, WHO released a statement saying bacon, ham and sausages rank alongside cigarettes as a major cause of cancer, placing cured and processed meats in the same category as asbestos, alcohol, arsenic and tobacco. As the world gasped in collective horror, Professor English said lovers of salami and bacon needn’t be too concerned – as long as they are enjoyed as ‘sometimes’ food. He says of course it’s always wise to aim for a balanced diet and not eat processed meat every day, but Australians shouldn’t be frightened into giving it up completely. Three dimensional printed metal body parts are now being used in reconstructive surgery, perhaps not routinely, as incidences of this still make news headlines, but certainly frequently. CSIRO’s Melbourne-based 3D print lab, Lab 22, is taking a leading role, with its Arcam printer emitting an electron beam that melts away layers of metal powder using information from a detailed scan to create a 3D object. Titanium ribs and a sternum printed in Melbourne were shipped to Spain to help a patient with chest wall sarcoma. The University of Melbourne’s Dr David Ackland, from the Department of Mechanical Engineering, has used computer modelling of the human body to devise a new jaw for patient Richard Stratton, who was found to be missing a vital part of his right jaw mechanism and was experiencing increasing pain in daily living and eating. Dr Ackland worked with maxillofacial surgeon Dr George Dimitroulis – a University of Melbourne alumnus and honorary fellow – to create a solution using 3D technology. 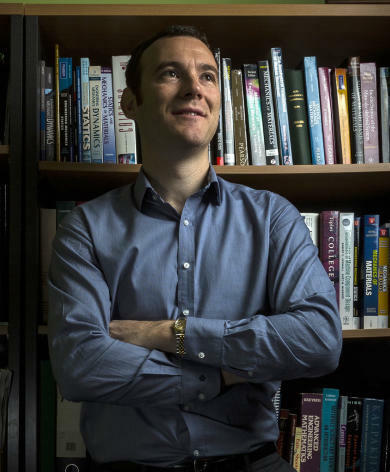 Dr Ackland has been developing computer models of the human body for some time, focusing most recently on the shoulder joint and how it behaved after total joint replacement surgery, but the jaw was something new. “We hadn’t done much work in the maxillofacial region before so we had to start from the very beginning and develop a new computer model of the human mandible, the maxilla and all the surrounding musculature,” Dr Ackland says. “The facial region is often overlooked in terms of musculoskeletal disease and the effect on quality of life. “It’s a huge problem. People who have jaw joint osteoarthritis have a lot of trouble in biting and chewing and even the expression of emotion – smiling, for example. The full story on this fascinating surgical development – with video and animation – can be read on Pursuit here. Banner picture: Mars rising. Getty Images.